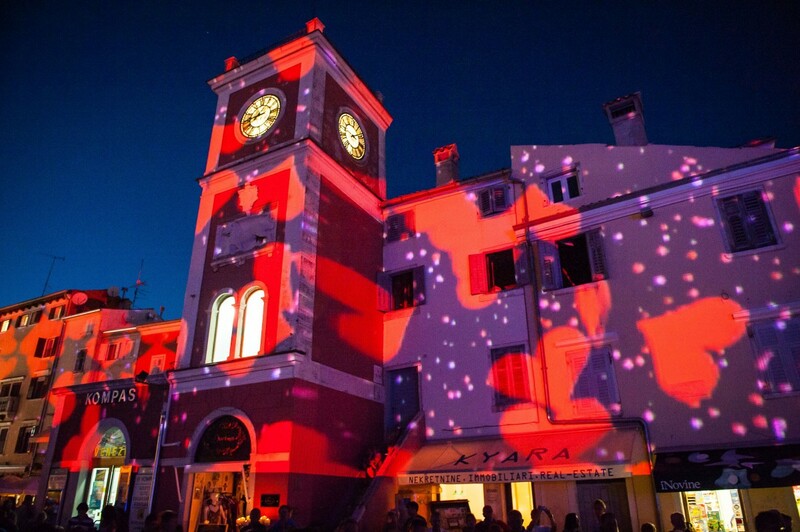 St. Lawrence Night is an event bringing together culture and entertainment and emphasizing Rovinj’s romantic atmosphere. It is held at a time when shooting stars, known as “Tears of St. Lawrence”, can be clearly seen in the night sky. During the event, romantic music concerts are held on several stages around the town, the street lights are turned off, the city centre is illuminated by torches, while the terraces along the seafront are lit up by candles. 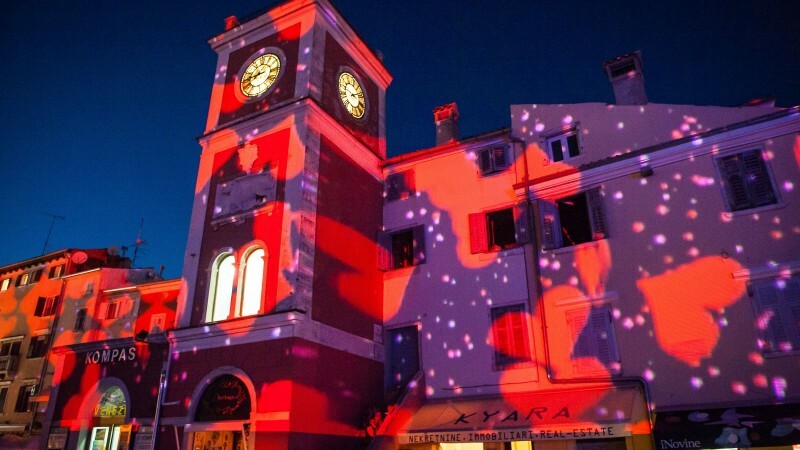 House facades in the main town square are illuminated by a light show displaying romantic motifs such as hearts, flowers, shooting stars…. The event begins with a parade and a performance by a Rovinj dance group whose members are dressed up in period costumes and carry torches, while accompanied by musicians playing in the background. Several times a week, visitors can attend the batana parade taking place in the evening. A batana is a traditional Rovinj flatboat sometimes equipped with a fishing lantern. The parade starts at the small pier near the main town square, and it will take you around the beautiful old town to the spacio Matika in Vladimir Švalba Street, which can also be accessed by boat. During the boat parade, visitors will be able to enjoy the melodies sung by folk bands, such as “Batana” or “Bitinadora”, of the “Marco Garbin” cultural and artistic association, while at the spacio a traditional dinner consisting of fish dishes will be served. The picturesque St. Thomas Field, adorned by vaults and porticos, is one of the most beautiful medieval urban complexes in town. It is also the venue where numerous choir and acoustic concerts are held throughout the summer months. The “Ronald Braus and guests” concert traditionally takes place at one of the many beautiful locations on St. Andrew’s Island, situated near Rovinj. The island can be reached by taking a regular boat service departing from the town centre. The boat ride lasts 15 minutes. 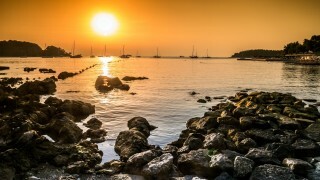 Visitors to St. Andrew’s Island will surely spend an entertaining summer evening while enjoying musical and dance performances at the Count Hütterott castle or on the nearby islet of Maškin, which is connected to St. Andrew's Island by a bridge.